Rare used Christian books can be invaluable sources of information and prized collectors' items. Keep in mind that not all old Christian tomes and Bibles are rare. Even some Bibles that are over two hundred years old are not considered particularly rare or valuable. Although Christian novels and contemporary Christian books color the Christian book marketplace today, in the past, those books dubbed Christian were largely works of theology and non-fiction. Many of the world's greatest literary figures used Christianity as major themes in their works, though these are usually categorized in literary genres and periods rather than as Christian books. The Medieval cycle dramas, for example, focus entirely on the passion of Christ, and much of Medieval women's literature (such as the writings of Christine de Pizan and Julian of Norwich) also focus on Christianity. 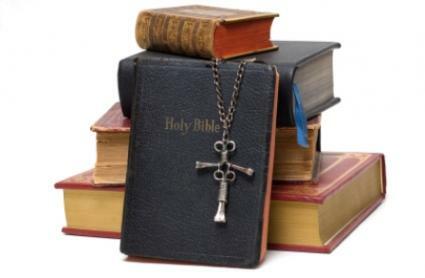 Rare and used Christian books are available in a wide number of faiths and denominations and cover many different topics related to Christianity. Whether for reference, knowledge, or collecting, rare out-of-print Christian books may be sought out. Many older Christian texts are simply no longer published due to changing cultural contexts, but many are still available in rare book stores.If you are looking for information rather than to own or purchase a book for a collection an excellent resource is The Evangelical Christian Library. This wonderful site offers a variety of Christian books with their full text online. Any of the books on the site can be read and downloaded for free, provided they are only used for personal or scholarly purposes. Although auction sites, live auctions, and estate sales can be beneficial sources for finding rare used Christian books, more often than not it's the luck of the draw. Specialized rare Christian book retailers may be more helpful resources when searching for rare books. The following resources specialize or have categories of rare and used Christian books. Rare Christian Books carries out of print books but also reprints books that have been out of circulation for awhile. Peter Reynolds Books has thousands of used books, some of which are over 100 years old. Biblio.com allows you to search for rare and out of print books by title, author, and other specifications. Powell's is comprehensive site that specializes in rare and out-of-print used books. Its section on Christian books includes a top ten list and recommendations. It is important to keep books out of direct sunlight and away from heat sources to keep them in good condition. Keeping them on a bookcase, preferably behind glass, will ensure that they last a long time. If the book is very rare or very old it is a good idea to wear gloves when handling it to keep natural body oils off the papers. Whether you are looking for information, enjoy the decorative covers, or love the detailed illustrations many old books contain, collecting rare Christian books is a satisfying hobby.